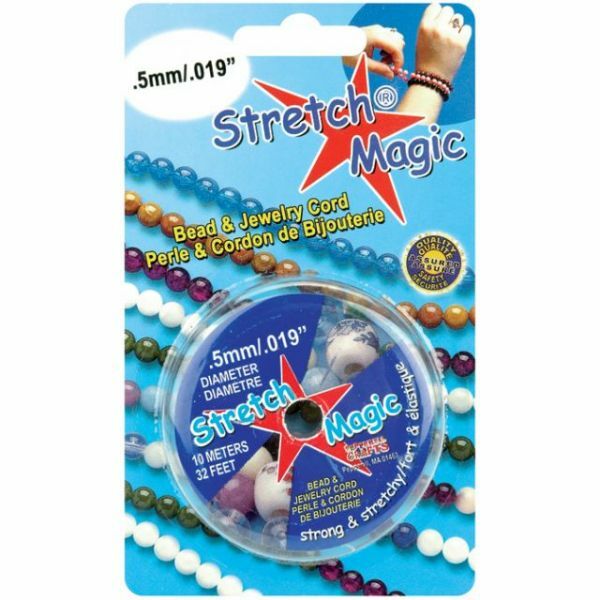 Stretch Magic Bead & Jewelry Cord .5mmX10m - PEPPERELL BRAIDING-Available in a variety of popular colors, this strong, highly stretchable cord is great for jewelry making and beaded craft projects. Easy to work with and knot, comfortable to wear, three thicknesses for small or large beads. Size: .5mm Bead and Jewelry Cord. Length: 10 meters per package.